Its compact size and low bit-rate performance make the E5710 the ideal MPEG-2 real-time encoder for high performance applications such IPTV, cable, satellite, digital terrestrial or distribution applications. The highly adaptable E5720 is the best performing single channel MPEG-2 real-time encoder for contribution and distribution applications available on the market. Its expandability, high quality video and audio compression and ease of use, make the E5720 the ideal real-time MPEG-2 encoder for use in content exchange/contribution networks. It is also suited for IPTV, cable, satellite, digital terrestrial or distribution networks where a high number of options such as audio cards are needed. The 1RU E5770 and 2RU E5775 are the ultimate high performance, low bit-rate encoders. Their unique multi-pass processing provides the best possible MPEG-2 real-time encoding available today. For multi-channel applications, the E5770 represents state-of-the-art real-time professional video encoding technology. When combined with the TANDBERG Reflex™ statistical multiplexing system for those ultra-demanding multi-channel applications, the E5770 encoder sets the new standard for optimizing picture quality and maximizing the quantity of TV services in the transmission. The E5780 is a top performing HD MPEG-2 encoder providing rapid on-air capabilities and ease-of-use features. Offering both SD and HD encoding modes, it is ideal for professional ATSC and DVB broadcasters. It can encode at multiple profiles in both HD and SD modes. The high maximum bit-rate of 90 Mbps also makes the E5782 ideal for digital cinema applications and other applications that require a near lossless link. 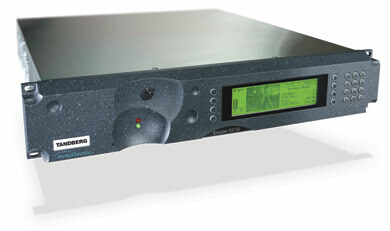 The E5780 offers 4:2:0 encoding while the top of the range E5782 can encode both 4:2:0 and 4:2:2 profiles. 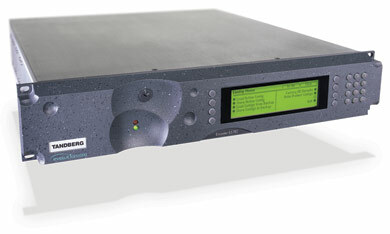 The EN8030 series is TANDBERG Television’s second-generation MPEG-4 AVC SD encoder. 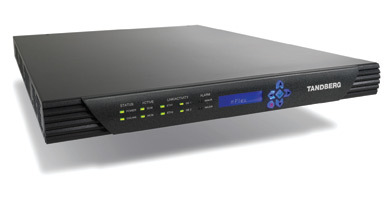 Building upon the proven operation and interoperability of the award-winning EN5930, the EN8030 series is the low risk deployment choice for any broadcast system. 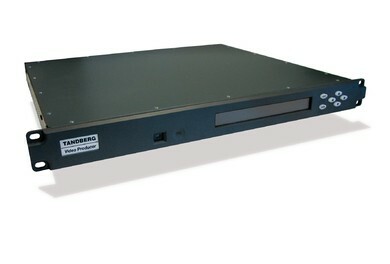 The EN8090 series is TANDBERG Television's second generation MPEG-4 AVC HD encoders. Building upon the proven operation and interoperability of the award-winning EN5990, the EN8090 is the low risk deployment choice for any broadcast system. Based on the latest generation of Intelligent Compression Engine, the EN8090 series pushes encoding efficiency to new levels of excellence, providing the ultimate in best quality pictures at lowest bit-rates. The EN8090 also includes advanced audio coding options to provide equally astounding low bit-rate audio performance. The EN8100 is simply the most efficient SD MPEG-2 encoder available today. It delivers high quality SD video at bit-rates previously unachievable with the MPEG-2 standard. The radical design of the EN8100 is aimed specifically at the most demanding low bit-rate applications. 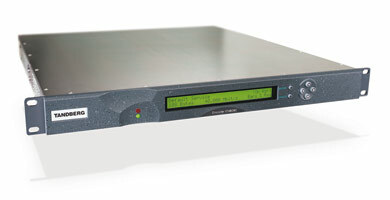 Combined with its efficient use of rack space, the EN8100 is the ideal MPEG-2 real-time encoder for high performance DTH applications via satellite, digital terrestrial or cable. iPlex™ is a high-density, multi-functional, high-performance video processing platform designed for the unique requirements of IPTV, telco and broadband operators. The platform is also suitable for cable and satellite operators looking to augment their service delivery using IPTV infrastructure. The compact 1RU form factor with up to 8 encoded or 36 transrated streams makes iPlex the ideal choice for small or large headend deployments alike. Supporting a comprehensive set of stream processing options, including MPEG-2 SD encoding and transrating, MPEG-4 AVC SD and HD encoding, and the award-winning MPEG-4 AVC SD and HD transcoding solution streams, the iPlex is the clear choice for all IPTV applications.